Welcome to the Coach House. It has a 3 star Visit Britain rating. The building is Grade 2 listed and has 15 spacious ensuite rooms. There is a large lobby area and a good sized breakfast room where you will provided with a hearty cooked breakfast. The decor is a mixture of contemporary and rustic and the building offers character. Outside there is a courtyard garden to relax in. We provide plenty of off road parking in our private car park. All of the rooms have colour TVs with the freeview channels and tea and coffee making facilities. The Coach House is set in a quiet location set back from the road with fields to two sides. It is ideally located for Junction 1 of the M32, Junction 19 of the M4 and Bristol Parkway Station. 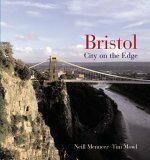 Bristol City centre is a short drive away and also easily accessible by public transport. We are also conveniently positioned for the ring road to Bath and travelling to the Cotswolds or as a stop off for Cornwall. There are two pubs and a Chinese restaurant all within walking distance of the Coach House. Bristol itself is an interesting vibrant city with a lot of history especially on the maritime side. Bristol is also a great city for nightlife, dining out and soon to be shopping after the new Cabot circus development. It is also a great city for sightseeing with the impressive view of the Clifton Suspension Bridge, quaint Clifton Village, Bristol Docks and the SS Great Britain. Also not to be missed is the Balloon Festival.